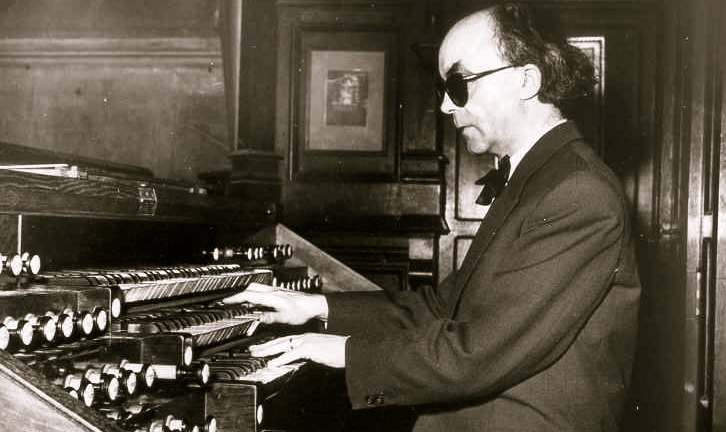 Kenneth Danchik, St Paul Cathedral organist, and Donald Fellows, play a 2 organs programme, including Jean LANGLAIS "Canzona", (Folkloric Suite), adapted for 2 organs by Kenneth Danchik. At Grace Cathedral, during Sunday 11 am. Eucharist, The Grace Cathedral Choir (Men and Boys)sing Jean LANGLAIS's "Messe Solennelle" (not the Kyrie)under direction of Benjamin Bachman, Canon Director of Music. Lawrence Thain, Cathedral's assistant organist, plays the organ.